The Model AR-50S is a portable, lightweight, fully automatic band-switching RF booster amplifier for multi-band VHF Tactical Radio equipment employing legacy, proprietary and emerging waveforms. 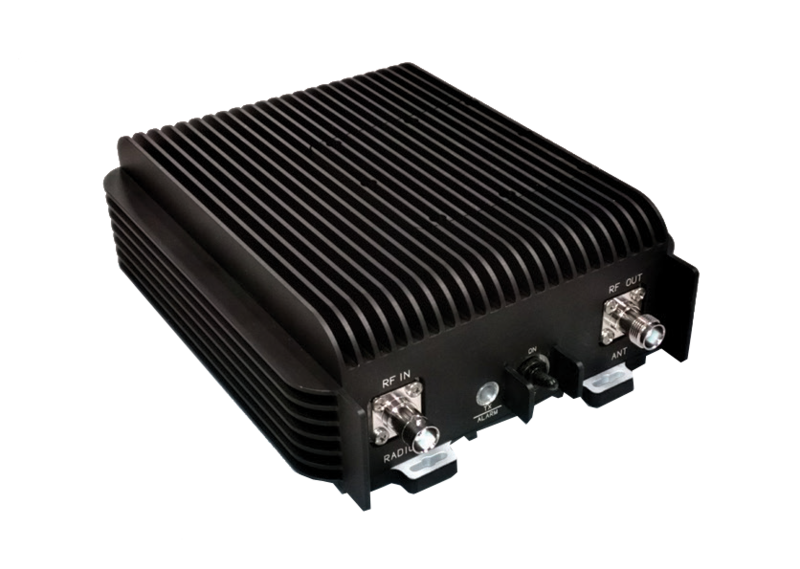 The amplifier which is a sub-banded version of our JITC certified AR-50 multi-band product covers the frequency band of 30-88 MHz using high speed auto switching filters to assure harmonic suppression and is SINCGARS compatible. The amplifier includes power supply Voltage Spike Suppression, a DC/DC convertor for wide DC input range, RF sensing, T/R switching, Automatic Level Control (ALC), three automatically switched harmonic filter bands (DAMA capable), and protection against antenna mismatch and over-temperature. Protection against accidental polarity reversal is provided. The amplifier comprises a rugged 3-piece aluminum case. Optional interface coaxial cables and shock mounting plate are available.